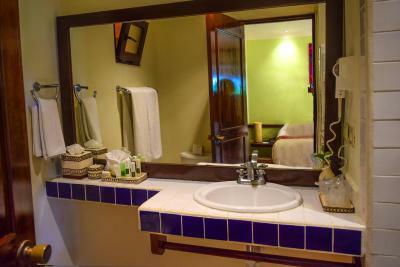 Lock in a great price for La Tortuga Hotel & Spa - Adults Only – rated 8.6 by recent guests! 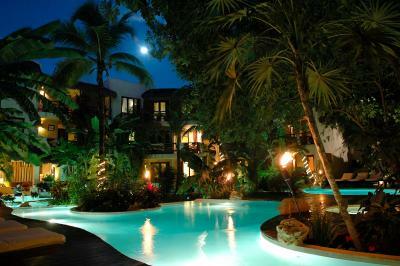 Excellent location, beautiful pool area, fabulous and helpful staff in the hotel and the restaurant!! I would highly recommend! 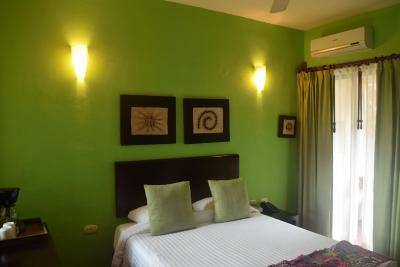 Updated room, king bed was very comfortable, large shower, private balcony overlooking the courtyard. Very quiet due to the courtyard style. Pool area is excellent and shaded, for those that want more sun there’s a sun deck as well. Rooms are just big enough, the balcony we had was perfect overlooking the pool and gardens. The bed was very comfortable. Daily cleaning service and beach towels. The breakfast is included, and great at Como Como, the Italian restaurant attached to hotel, many options to choose from and coffee is delicious. There’s a lovely Soa at hotel offering many services, I didn’t use it this trip, but have in the past and it’s great. There’s a library of books to read and relax in the garden pool area, many different languages. Water and a fridge are provided , as well as hair dryer, flat screen tv and a telephone if needed in room! 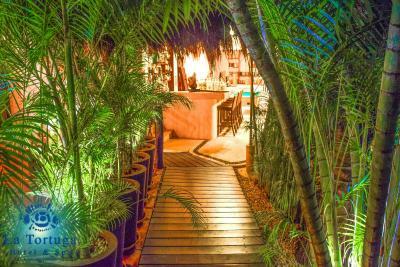 Would definitely return to La Tortuga, with its excellent location and fantastic staff it’s the perfect spot in playa !! The personal was great and very helping. The pool is really nice and the breakfast at the restaurant too. 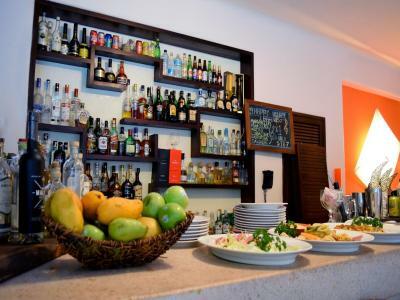 Comfortable place with a good location and restaurant. Charming decor. Nice size room (junior suite). Big shower. Quiet. Quaint and cozy property. Kind, helpful staff. Adults only! 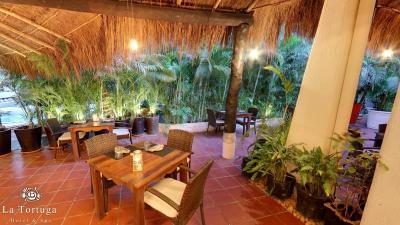 Great location and very nice private room! Loved the adults only environment as well. Loved how close it is to everything. Loved the private rooftop terrace with private 2 person whirlpool tub. Never ran out of hot water. Grounds are very tropical. Staff very helpful and friendly. Free Breakfast in the restaurant was good. A real sit down breakfast. Felt very safe at the hotel. It is a very unique property nestled in between all the action. 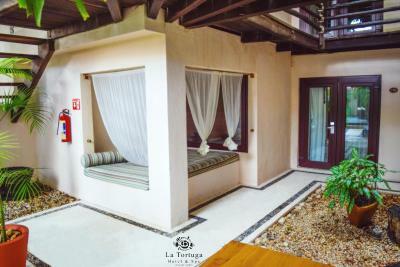 La Tortuga Hotel & Spa - Adults Only This rating is a reflection of how the property compares to the industry standard when it comes to price, facilities and services available. It's based on a self-evaluation by the property. Use this rating to help choose your stay! 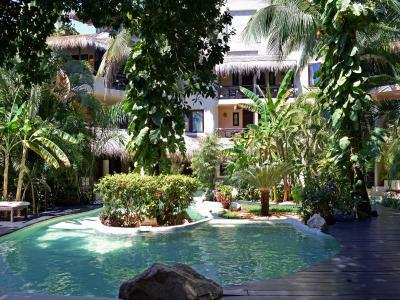 One of our top picks in Playa del Carmen.Close to the beach in Playa del Carmen, this boutique style adult-only hotel offers spa services, an enjoyable outdoor pool and access to the services at a nearby beach club. The restaurant Como Como serves breakfast every morning. 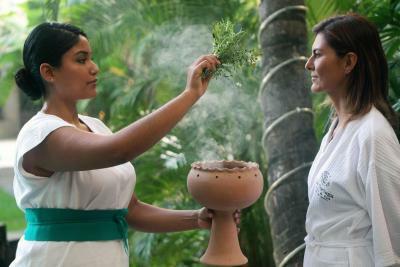 Guests can lounge in their room and order room service, then feel pampered with a Mayan spa treatment in the Ix Xiu Spa. In the evening, the on-site bar is a great place for a cocktail while listening to good music. 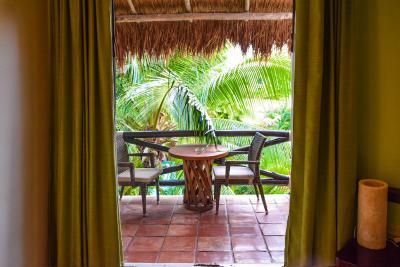 At an extra cost, guests at La Tortuga Hotel & Spa can enjoy the beautiful beach club with lounge chairs and beach umbrellas. After a swim, guests can soak up the sun on the beach with a drink. 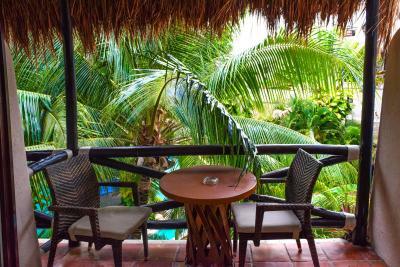 In the evening the beach club's lounge area is a great place to relax in a hammock and listen to music. Premium Wifi available in rooms and common areas. 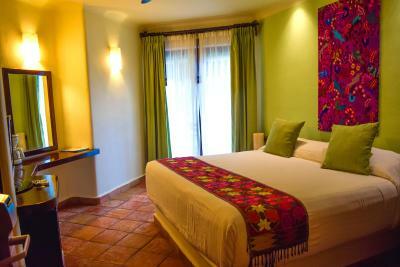 When would you like to stay at La Tortuga Hotel & Spa - Adults Only? This air-conditioned room has a TV, fan, minibar and safe. The in-room amenities also has a coffee maker and a hairdryer. 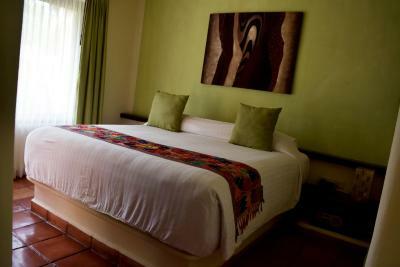 This room features one king bed or 2 queen beds. 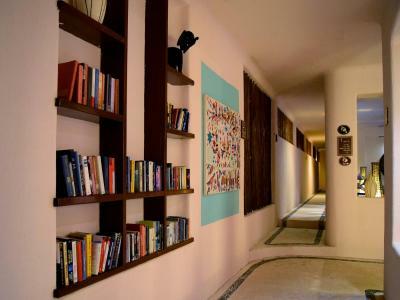 It also has a flat-screen TV, coffee maker, iron and ironing board, safe, air conditioning, hairdryer a minibar with premium alcohol, wine, soft drinks and snacks. The bathroom is private and has free toiletries. This suite features a terrace with a hot tub, a flat-screen TV, bathrobes and slippers. Ironing facilities and an iPod docking station are also available. This spacious suite has a terrace with a hot tub, a flat-screen TV, bathrobe and slippers. One superior suite has a private pool, some have a private lounge and others feature a rooftop terrace. 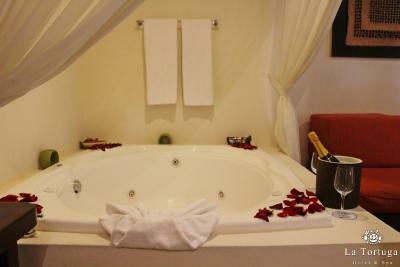 House Rules La Tortuga Hotel & Spa - Adults Only takes special requests – add in the next step! La Tortuga Hotel &amp; Spa - Adults Only accepts these cards and reserves the right to temporarily hold an amount prior to arrival. La Tortuga Hotel & Spa - Adults Only accepts these cards and reserves the right to temporarily hold an amount prior to arrival. Upon check-in photo identification and credit card is required. All special requests are subject to availability upon check-in. Special requests cannot be guaranteed and may incur additional charges. Please be advised the room category you have chosen could either be with one king size bed or two queen size beds, You may make a request, but this requirement is always subject to availability. please contact the hotel directly to confirm. 15% OFF in the restaurant "Como Como" reservations with minimum stay of 3 nights from today until March 31st 2019 (per person per day). 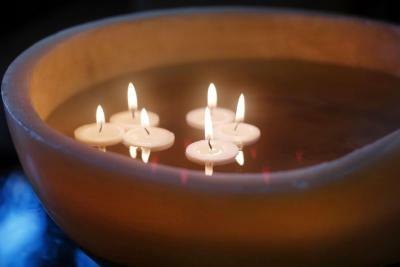 Please inform La Tortuga Hotel & Spa - Adults Only of your expected arrival time in advance. You can use the Special Requests box when booking, or contact the property directly using the contact details in your confirmation. 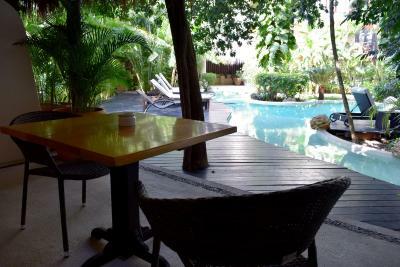 Little oasis of peace at a walking distance from the lively main strip. Relaxing atmosphere spending the morning by the pool and in the evening having a drink at the bar. Bit noisy around but that's not the fault of the hotel. 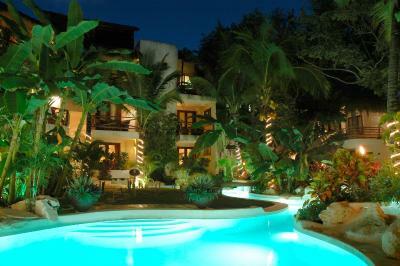 Comfy room and beds, nice pool area and good location. Decent breakfast as well. Shower could have more pressure, but I have long hair and am picky , otherwise bathroom facilities were fine. The pump noise for the outdoor/garden jacuzzi every evening. Very calm and silent despite the location. 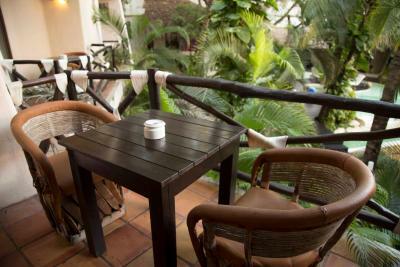 The location was fantastic, staff were all friendly and the room was nice. We would definitely stay here again!